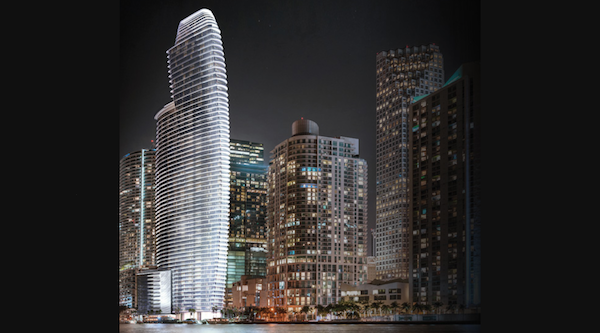 Steve’s breakdown: Aston Martin is working on a new 66-story residential tower in Miami. G&G is the developer. Marek Reichman, Aston Martin’s chief creative officer, might be a good place to start, contact wise. MIAMI, FL & LONDON, England: Aston Martin is getting into the real estate business. The British luxury automaker, which is closely associated with the James Bond movie franchise, announced it’s partnering with a property developer to build a new 66-story residential tower in Miami, Florida. A move into luxury real estate may seem unusual for an automaker that’s built a global brand based on its high performance cars. But Aston Martin is trying to branch into new sectors outside its traditional niche. “Partnerships only happen if it’s the right partner,” said Marek Reichman, Aston Martin’s chief creative officer. “We realized we needed a brand that would take the whole project to a new [level],” he said. Aston Martin will design the common areas shared by residents, which will feature “grey and black carbon fiber furniture.” It will also work on some exterior elements.